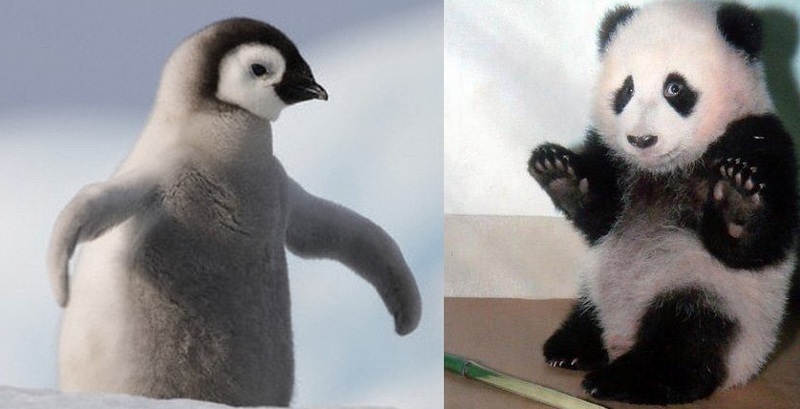 First of all, I’m not actually going to talk about adorable Antarctic birds and bamboo eating cuteness. Penguins and Pandas are the newly dubbed names of Google’s major algorithmic updates. Annnd 50% of the readers just said “algo-what?” To put it in the simplest terms, algorithm is a function or a procedure that can be used to calculate and process data. One of its uses is for automatic reasoning in computers. In this instance Google has came up with a set of algorithms to analyse and rank web pages for its search outcomes. The names Panda and Penguins are updates for these algorithms and represent the changes of signals Google uses for its analysis. Penguins and Pandas affect every digital marketer out there as they are not within Google’s main index. Therefore they can change rankings and traffic of certain sites rapidly. Sites that have been over-optimised by excessive low quality links, highly optimised anchor texts, duplicated contents, etc. are the main targets of penguin updates. Once identified, Penguin removes any additional benefits those optimisations has provided the site thus ranking of the site drops and organic traffic decreases. Sites that contain poor content or contents that adds no real value to the internet are removed of their rank by Panda. So what’s going to happen to SEO? It’s certainly not fading away anytime soon. It’ll just have to adjust. This is a big win for consumers as it forces SEO marketers to use high-value links and quality contents. Thus improving the long term viability of sites and makes them more likely to succeed. Looks like ethics can finally spread in the online world! This entry was posted in Business, Social Media, Technology, Uncategorized and tagged algorithm, analytics, business, content, digital, google, Online, optimisation, optimization, organic, organic traffic, panda, penguin, ranking, SEO, traffic, web, website. Bookmark the permalink.